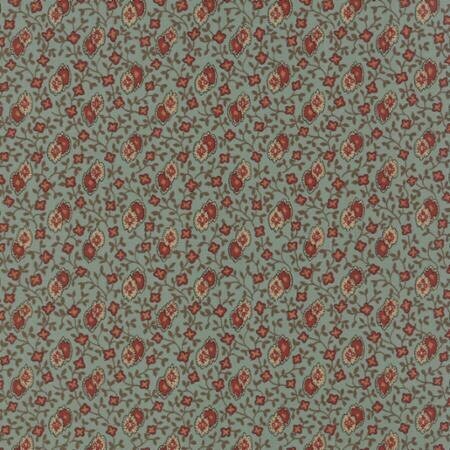 Lizzie' s Legacy Aqua 31517 13 by Betsy Chutchian for moda fabrics. This group of prints is perfect for anything civil war...a dear jane, farmers wife or mix with French General and 3 Sisters. This listing is for 1 yard but multiples are available.